What sort of industry or applications would benefit from SMA? 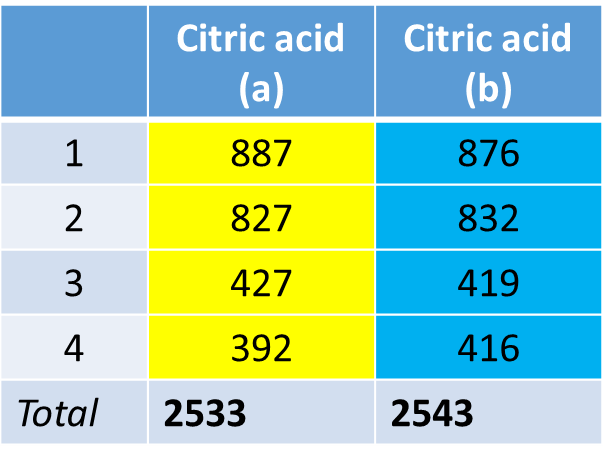 SMA can perform quantitative analysis in mixtures and it suits regulated environments where the same compounds and analytical conditions are repeated, and fine control over the analysis is needed. These will often be the most stringent, controlled environments, e.g., forensics.You can relax and let SMA do all the hard work related to quantifying mixtures with overlapped peaks using GSD and integration methods support, and still have full control over the calculation method.You can create your own library of compounds and generate improved reports. Integration with the Mnova DB makes it simple to build new analyses on the fly. What actually happens in the background when pressing the SMA Analyze button? Sample-specific data may be needed (weights, etc. )When you hit the Analyze button peak picking is applied and multiplets are determined for each region.Then components are quantified using the sample-specific input and the determined integrals according to the specified equation. Each component is evaluated in turn and any errors are hiden. Finally a customized results table is filled. SMA is a versatile tool which allows you to specify your formula for your calculations.Integral values are converted into relevant concentrations using user-defined mathematical expressions:, Purity%, Mole%, Concentration, etc. The Concentration Conversion Factor (CCF) is like a response factor for NMR that converts the absolute integral/nuclide to concentration. For more information about the CCF factor please see Q: What exactly is the CCF factor? This is MestrelabÂ´s novel capability for multiplet extraction from regions where peaks overlap. Even if the actual number of peaks is different, the target multiplet is found based on the shape moments. Mathematical descriptors are derived for the reference peak pattern called Peak Pattern Recognition (PPR). It gives SMA the ability to find a multiplet pattern when your spectra is heavily overlapped.A target area is systematically searched for this peak pattern. Hits are assigned a score, and ranked. Even if the actual number of peaks is different,the target multiplet is found based on the shape moments. Yes, you have full control of your quantification method specifying the integral regions to be used, and using the equation editor.SMA offers you the flexibility to define the way you quantify your mixtures.These integrals are converted into relevant concentrations using user-defined mathematical expressions. Sample-specific data (weights, etc.) may be required depending on the quantification method used: , Purity%, Mole%, Concentration, etc. See Q: What sort of calculation does SMA use for quantification? 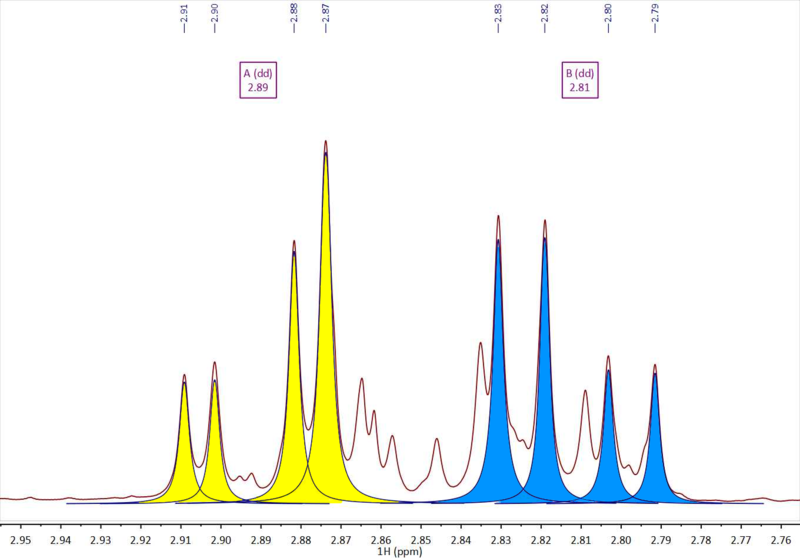 SMA is a versatile tool which can optimise your production process.Once you have your sample preparation done and set up an automated spectrum acquisition you can implement SMA as your mixture analysis tool (UI, batch, listener). Experiments and results can be customized. An internal database can be created. Finally some periodic checks of procedures and results (GxP) are required. We use Global Spectral Deconvolution (GSD) for basic processing. Regarding integration you will be able to select among different integration methods in the Experiment dialog box.Other integration options are traditional Sum and our unique Edited Sum hybrid procedure. CCF stands for Concentration Conversion Factor or the Spectrometer Factor. Basically, when the area of a multiplet is determined, this is related to its concentrationC âˆ AI/NNÂ Â Â Â Â Â Â Â Â Â Â Â Â Â Â Â Â Â Â Â Â Â Â Â Â Â (1)Where C is the concentration of a chemical species, AI is the absolute integral for a multiplet attributable to that species, and NN is the number of nuclides (Hs, usually) for that multiplet. From this we derive: C= CCF * AI/NNÂ Â Â Â Â Â Â Â Â Â Â Â Â Â Â Â Â Â (2) A proportionality constant which we call the CCF, allows us to convert a measured AI/NN into a concentration. Fundamentally, the CCF only needs to be determined once for an experiment, and then it is applicable to all chemical species in the reaction! Once that has been performed, all other species concentrations can be determined by applying equation (2), where the AI is determined by the software, and NN is provided by the user. For further information about how to calculate the CCF factor you can read the following qNMR_CCF document. Is there any alternative if I am handling more complex mixtures? Complex mixtures (i.e.>20 components or with highly overlapped peaks) may benefit from a more advanced plug-in application called CMA (Complex Mixtures Analysis) which is currently under development.You can also use MestrelabÂ´s novel capability Peak Pattern Recognition (PPR). Are you planning further improvements on SMA for future versions? In the near future, SMA Version 1.1 will be released and will have improved automatic equation writing, and better handling of multiple regions for a compound. What do you mean by Listener SMA? You can run SMA in the Listener mode where there is no need to interact with the raw data to get your results once a method has been validated. In different words, real time processing!This can be advantageous, particularly in QC and production environments.